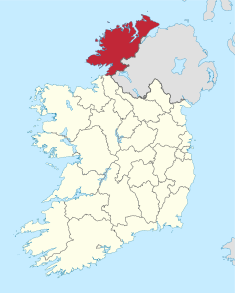 Donegal County Council (Irish: Comhairle Contae Dhún na nGall) is the authority responsible for local government in County Donegal, Ireland. 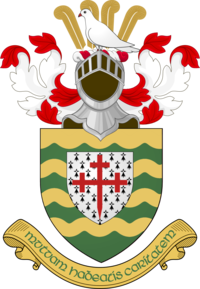 As a county council, it is governed by the Local Government Act 2001. The council is responsible for housing and community, roads and transportation, urban planning and development, amenity and culture, and environment. It has 37 elected members. Elections are held every five years and are by single transferable vote. The head of the council has the title of Cathaoirleach. The county administration is headed by a Chief Executive, Séamus Neely. The county town is Lifford. Following a 2015 RTÉ documentary, in March 2019, John O'Donnell was found by the Standards in Public Office Commission to have contravened the Local Government Act in three different instances, including failure to maintain proper standards of integrity, conduct and concern for the public interest. Donegal County Council is divided into the following municipal districts and local electoral areas, defined by electoral divisions. The following were elected at the 2014 Donegal County Council election, under the boundaries which existed at the time. ^ Kelly, Fiach (26 March 2019). "Sipo finds against two councillors over RTÉ undercover report". The Irish Times. Retrieved 26 March 2019. ^ "S.I. No. 613/2018 - County of Donegal Local Electoral Areas and Municipal Districts Order 2018". 19 December 2018. Retrieved 30 January 2019. ^ "Local Elections 2014: Results" (PDF). Department of Housing, Planning and Local Government. p. 102. Retrieved 31 January 2019.